Sorry, haven't had the opportunity to take pictures of my meals this weekend. Decided to check my blood pressure today, because in usually pre-hypertensive. 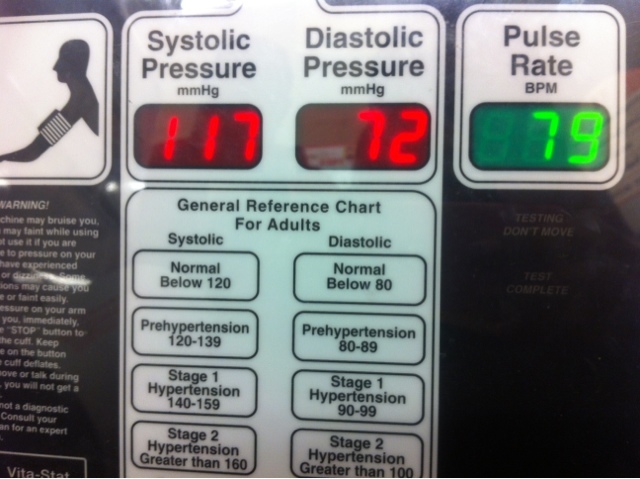 My blood pressure has significantly improved since my healthy living journey. Working out and eating healthy definitely work!!!!!! Will make an appt ASAP for blood work to check my cholesterol.